Grado Labs doesn’t rush new models to the market. The iconic Brooklyn-based firm moves at its own stately pace, befitting its rich history and high-end bona fides. Even so, it’s been nearly ten years since its last marquee headphone, which is a veritable lifetime in today’s sizzling personal-listening sector. 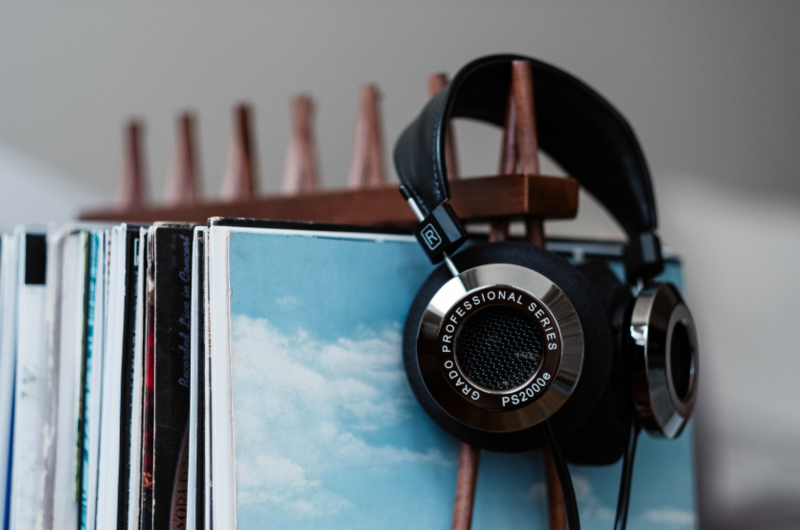 Given the lengthy interval, who can blame Grado for anointing the PS2000e—its new Professional Series flagship—the best cans the company has ever produced. After a few months in my clutches, I’ve got to admit they ain’t kidding. From conception to reality, the PS2000e is the product of a two-year process. True to its forebears it remains an open-air, dynamic-type system. It uses a vented, low-mass polymer diaphragm in a large air chamber. Per longstanding Grado tradition, the transducers are housed within hand-carved wooden chambers—maple in this instance. However, unique to Grado’s Professional Series is the proprietary hybrid housing—a chrome metal alloy outer shell encapsulating the maple inner chamber. Grado contends that this configuration rigidly supports the drivers and further eliminates ringing, distortions, and resonances. Other technical refinements include an updated diaphragm geometry plus front cap and grille revisions that reduce diaphragmatic diffraction. The voice coil and magnets have also been modified to yield increased bass response and a larger soundstage. Build quality is high, but purposeful rather than posh. With a wider leather headband exclusive to this model, the comfort factor is very good to excellent. The headband distributes the weight evenly over the top of the head, while the large-diameter foam ear-cushions are roomy and rest evenly against the entire ear—important for avoiding pressure points and fatigue. The issue of comfort is an almost indefinably personal one. Everyone’s head and ears are shaped differently, but it seems to me that Grado has chosen an appealing route. Still, selecting a headphone is much like buying a hat, and given the not insubstantial weight and bulk of the Grado, an extended audition makes sense. In various ways, the PS2000e recalls the sonic personality of Grados as I’ve experienced them in the past. (Grado buffs needn’t worry that the company has jettisoned the formula that brought it this far.) Primary is the emphasis on the totality of the listening experience. The PS2000e still conveys the warmer, yielding, soothing character that I’m accustomed to from Grados, but this is also a more tightly resolved and controlled effort, and a vastly more propulsive ride. The PS2000e is a headphone with a balanced attitude—weighting neutrality, dynamics, low-level resolution, and extension with equal precision.